Of course you can. TV antennas work the same whether they’re at home or on the road. In fact your home TV antenna will work in Canada, Mexico and most Caribbean nations too. There may be some issues with importing US electronic equipment into those other countries, but that’s the subject of a completely different article. TV antennas, as complex as they are, are not able to tell what signals they’re receiving. They can’t tell a digital one from an analog one, they can’t tell a US one from a Canadian one and they certainly can’t tell a Nebraska signal from a Washington signal. Most smaller antennas will pick up UHF and VHF signals, so you’re also all set there. Of course, smaller antennas have a more limited range so you may or may not be able to get those distant signals if you’re out in the great outdoors, but if you’re traveling to a local RV park, why not bring an antenna with you for the best possible TV experience? 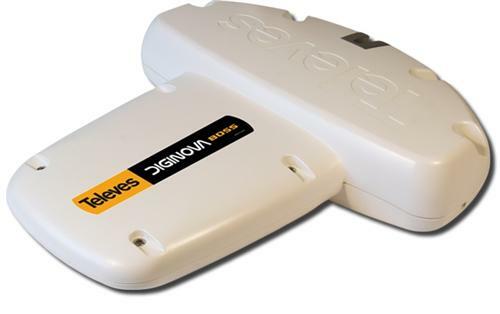 The best antennas for traveling, especially if part of your flight is on a plane, are our HD-Blade flat antennas. They weigh practically nothing, fit in most luggage, and work great practically anywhere. They’re also very durable, with almost nothing to break. They fit in your luggage so easily that you’ll probably want to just leave one there. Of course, you could bring an even larger antenna, that’s up to you. I can’t imagine anyone traveling with a large roof-mounted antenna, but hey, if you’re packing up the RV, I guess why not. It’s your TV… watch it your way. DON’T FALL FOR IT: The best TV antenna?